The sun rays calmed our shivers from the crisp wintery winds. Now we can even see what Chicago’s landscape looked like before the 20 inches of snow. There is nothing like glimpses of Spring to make you start thinking about green. Thinking about seeds, vegetables, and the whole gardening experience that is. As you may have read in a previous post, my partner Franziska gave you a preview of the upcoming Hull-House Seed Library. The introduction of this Seed Library in Chicago will bring topics of heirloom seeds, the issues of food access and sustainability. In order to start the conversation on these topics, we need some background in the area of heirloom seeds and sustainability. Heirloom seeds are like family heirlooms, and have been passed down from generation to generation, acquiring inherited traits in the process. 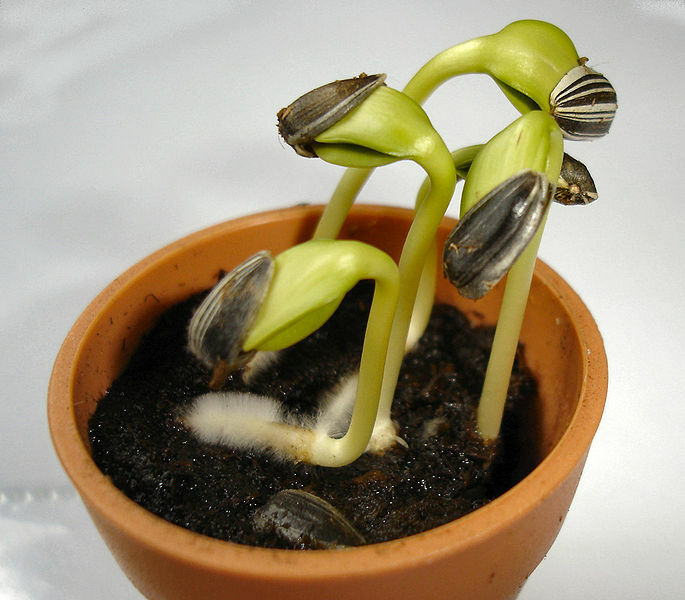 These seeds are planted, picked, seed saved, stored and then the process is restarted. The whole idea behind planting heirloom varieties is that it offers genetic variation and a sense of sustainability. 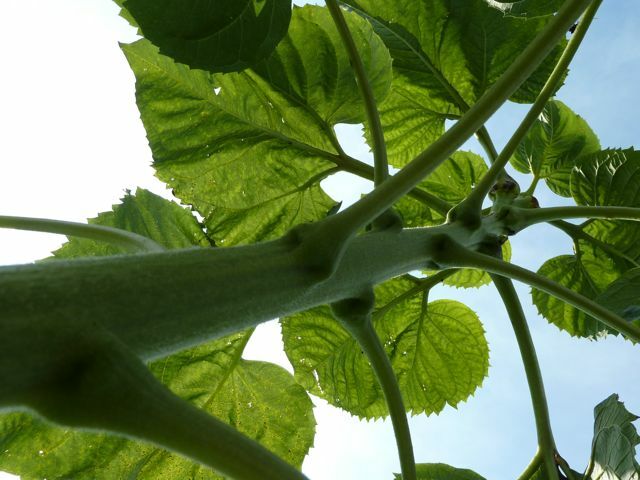 Monocultures (single strain crops grown over a wide area) are bred to resist certain common diseases. If a disease were to strike that the crop was susceptible to, the entire crop would be wiped out. That means if we only had one type of soybean and a new type of disease strikes it, we would have no more soybeans. So while it may seem reasonable to mass produce crops, we are essentially eliminating genetic variation that protects mass eliminations of plants and edging our way into unsustainable agriculture. Now what is sustainability? 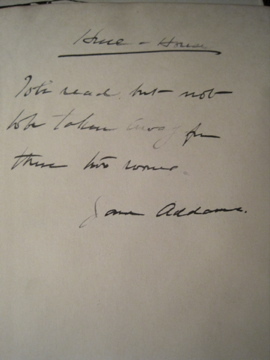 Wikipedia says, “… sustainability is the potential for long-term maintenance of well being, which has environmental, economic, and social dimensions.” Jane Addams actively supported the food and nutrition security of the diverse communities in Chicago. She did not farm, but she advocated nutrition and offered classes and programs that catered to food justice. The Seed Library will provide free and regionally adapted seeds to any seed library card holder. This opportunity allows people to grow their own heirloom varieties in a community plot, in a private garden or in their own home. When people grow their own food, they are able to secure and create a sustainable food system. As we impatiently wait for spring to arrive, we are also preparing for the launch of the Seed Library. Let’s hope it arrives soon with a great planting season. More updates on the launch will be coming your way soon! In a previous post, we explored the history and process for the making of Hull-House Maps and Papers, by Florence Kelley and others from the Hull-House community. Here we will look closer into the significance and at how the maps connect to the contemporary world. Undoubtedly, Florence Kelley’s maps provided explicit information about the wages and living conditions of the neighbors around the Nineteenth Ward area in the late 19th century. But the significance of this study might go beyond what you think. One reason why the study remains important is because Florence Kelley was one of the first people who was able to visualize a sea of information in an easily understandable manner. The techniques she used were well beyond her time. More importantly, she was able to use her maps as evidence to inform the public about what was going on in areas then known as “slums.” With the maps, she raised a great deal of awareness by the public about the living conditions of the working poor, which lead to reforms from the government to improve the quality of life for the working poor. Because Florence Kelley’s maps were so successful, the public begun to see more and more data visualizations in public meetings, conferences, and under a variety of different settings. Even now, we often see Florence Kelley’s legacy on many occasions. Thanks to improvements in everyday computer technology, computer software now enables its users to create maps without having earned a PhD in a particular field. Among the map-making software, the most popular is called the Geographic Information System (GIS). Under proper training, even a high school freshman can easily create maps that capture, analyze, or present data to the public in a stunning fashion. Figure 2 is a typical example of a GIS map, created by the author. Notice that the map could speak for itself, audiences could immediately interpret information about the immigrants in the city of Chicago. 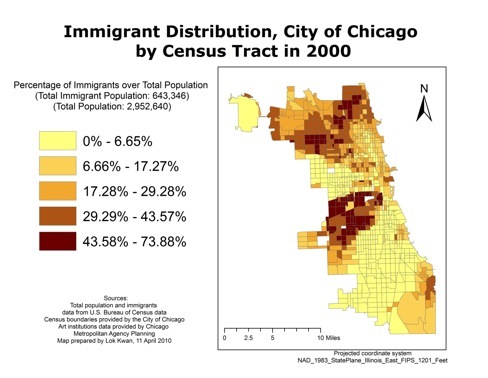 Most obvious of all, we can see the immigrant population tend to concentrate more on the north side and the west side of Chicago. Policy implications about this map could go from creating more multi-language community centers on the west side to putting more bilingual schools on the north side. Really, sky is the limit, and it all depends on where the presenter is taking his or her arguments. Nowadays technology has improved so much and critics have pointed out some design flaws in Florence Kelley’s maps. For instance, Florence Kelley used different colors to represent different wages earned by the residents around the 19th Ward. Due to the fact that wage is ordinal data, however, it would be much better to present the level of wages using one color, from light to heavy. This way audience would have no need to look back and forth to interpret which part of the neighborhood earned the highest or lowest wage. Regardless of this shortcoming, many researchers have openly acknowledged that Florence Kelley’s work was revolutionary. You would be surprised to know how many public investments were made based on the findings from these GIS maps. Perhaps one GIS map helped your local officials to draw state funds to build a new hospital in your community. 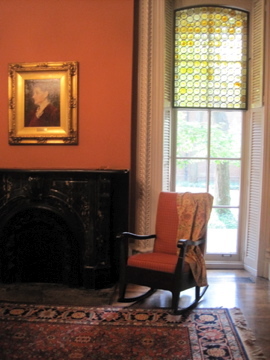 In any case, Florence Kelley’s legacy might have changed your life dramatically, but you will have no idea where it all came from if you have not visited the Jane Addams Hull-House Museum. From this example, we get a taste of how reformers from the settlement houses changed the world, or precisely, U.S. society and our everyday surroundings. I hope that you will be able to come visit us someday, and that our artifacts might open a new page for you to understand our history and society from a completely different perspective. In a world where online maps and satellite images can be downloaded onto our computers and cell phones to help us get from “Point A” to “Point B”, it is hard to imagine a time when these seemingly simple diagrams of our environments were out of reach. But what if a map was more than just a directional device? What if it could be used to tell the story of a community and the people who lived there? For those of you who have visited the museum since we re-opened with the new permanent exhibition in September, you may have been wondering what was happening beyond the velvet rope in the southeastern corner of our second floor. 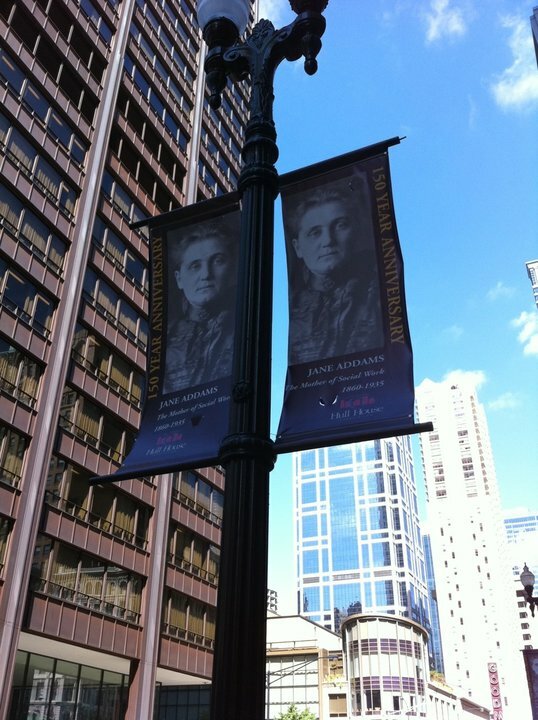 Recently unveiled for our December 10, 2010 celebration of Jane Addams Day, our new exhibit on the Hull-House Maps and Papers project tells the story of this groundbreaking sociological study and shares what Florence Kelley and other Hull-House reformers discovered. 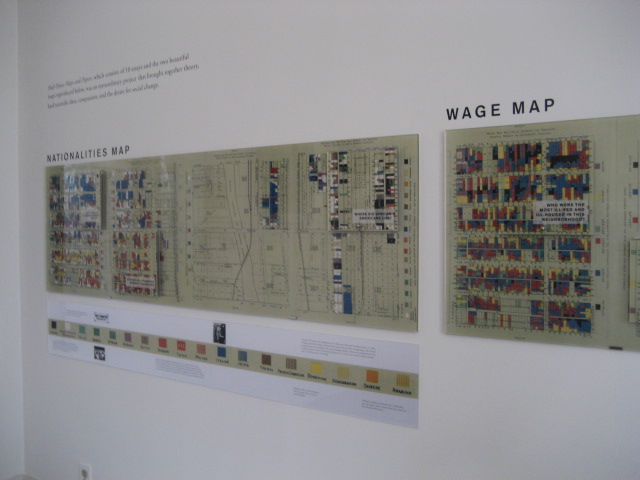 To provide you with some history, the work that was published in Hull-House Maps and Papers was originally commissioned by the United States Department of Labor in 1892 as part of a national study, The Slums of Baltimore, Chicago, New York, and Philadelphia, to explore urban life in America’s industrial centers. Florence Kelley, an attorney and consumer advocate living and working at Hull-House, was tapped to direct Chicago’s portion of the study. During the summer of 1893, Kelley and her four-member team visited the tenement houses, sweatshops, and factories of the then-19th Ward and inquired about residents’ ethnic background, living and working conditions, family structures, and weekly wages. 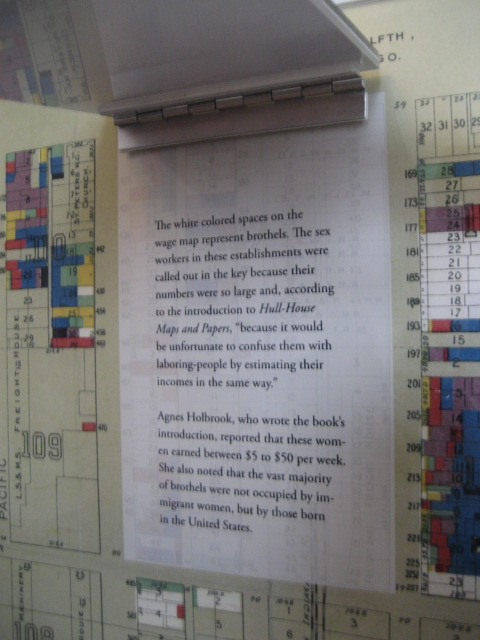 The information they collected was then compiled into two sets of maps to show the Nationalities and Wages represented in the neighborhoods surrounding Hull-House. At first glance, these maps provide a general overview of who was living in Chicago’s Near West Side neighborhood at the time when Hull-House and the surrounding communities were still discovering each other. Through exploring our exhibit, however, you can discover the stories that exist at the intersections of the cultural, social, financial, and physical worlds that Hull-House neighbors inhabited. A display provides visitors with insight into the dynamics of gender, work, and society. Interactive panels give additional historical background and context to help visitors learn more about the living and working conditions of the neighborhood in the late-1890s. 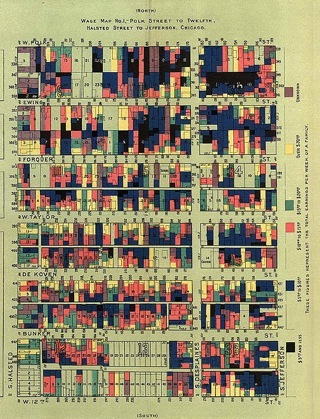 Thought-provoking questions about the language used to label differences in ethnicity, the businesses and families that inhabited a now-obsolete address, and the areas with the poorest living conditions encourage exploration beyond what is found in the maps’ colorful pictorial representations. Greetings from Hull-House! Franziska here. I am an intern at the museum, through a UIC-sponsored program called the Chicago Civic Leadership Certificate Program. My task at the museum is to create a seed library, which will soon be open to the public through Hull-House. What exactly is a seed library? It’s much like a regular library, but instead of books, you can check out seeds, which you can grow, and then return. Our mission is to promote food security—a major problem our city is facing. Currently, there are three major food deserts in Chicago, meaning that many people do not have access to fresh produce and good, healthy food. 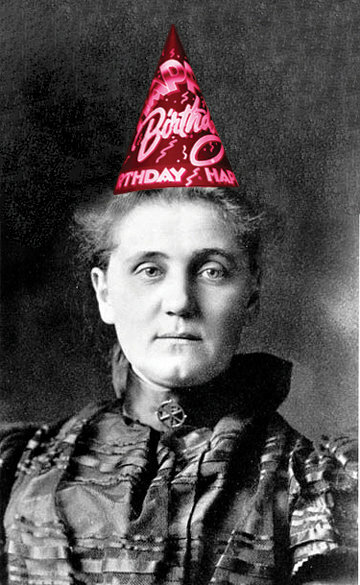 Jane Addams fought many of these issues in her day, and they are still, unfortunately, plaguing our city. We want to address these problems with an interactive project to get people involved in the conversation of sustainability, food access, and urban agriculture. Right now, we are getting ready to interview Michael Thompson of The Chicago Honey Co-op. Christian (my partner intern and co-creator of the project) and I are crafting questions to help our future gardeners learn about urban farming and sustainable agriculture from a true expert on the subject. We will create a short film and fill you in on everything you need to know about urban agriculture—from container gardening to composting to water conservation. Michael is the director of the Co-op that manages hundreds of bees and produces delicious honey and vegetables at their North Lawndale bee farm. They are a vital part of their community, as they also offer job training and classes to amateur bee-keepers. The Co-op has been an excellent source of support and donations of seeds to the Seed Library. Michael is truly invested and passionate about sustainable agriculture! Stay tuned for more updates on the Seed Library! Image is licensed under the Creative Commons Attribution-Share Alike 3.0 Unported license. We celebrated Jane Addams’ 150th birthday and the reopening of our museum with a civic ceremony in Daley Plaza and a People’s Block Party next to the museum. Over 450 people came through the museum in just a few hours! We welcomed Louise Knight and Lisa Dodson to the museum to discuss their fantastic new books. We trained six museum educators to give tours. We offered 25 guided tours to student and professional groups. We opened a brand new gift shop. We harvested 30 pumpkins and squash from the Heirloom Farm. We had almost 2000 visitors come through the museum this month. Did you visit the museum this month? Give us your review! Today’s Chicago Tribune has a wonderful article about Addams’ legacy and the celebrations surrounding her 150th birthday. Check it out! A room worth a view! Lucy here. I’m the Hull-House Museum’s summer intern, here through funding from Smith College. Lisa Junkin gave me the special task of creating an entry for the famous Hull-House blog on whatever my heart desires! I figured I would report on developments in the room I’ve spent the most time in–the new library area. The museum is looking so incredible these days, it makes me wish I weren’t going home before the September opening. Although I never saw the old exhibit in place, on my first day Lisa Lee took me on a quick tour of the mansion. This was after only one of the rooms had been painted and absolutely nothing of the new exhibition was in place. At the end, we stopped by a room on the first floor, once a dining room for residents. When I think about that room I saw on my first day, I think ugly curtains hiding otherwise beautiful bottle-glass windows, I think peeling wall paper, I think, ugh! But nowadays, our library area couldn’t be more incredible. Glorious, historically accurate terracotta paint! Exquisite furnishings! Spectacular artwork! A couple of exhibits completed by a certain lucky intern! It’s no surprise that I chose this room in particular to write about. For one thing, a lot of essential elements of the exhibit are in place, so it’s easy to imagine how it will look. But also, this is where two of my main projects of the summer will live. One is a globe that demonstrates Jane Addams’ world travels. Did you know that Addams went to Europe nine times throughout her life in addition to traveling to Egypt, India, The Philippines, Mexico, China, and Japan? The other exhibit I’ve been working on is called the bookshelf project. 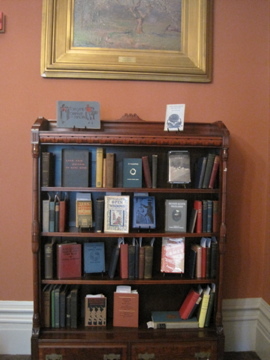 It’s pretty neat—one shelf will display books from Addams’ personal collection (those will be behind glass). The other shelves will be filled with about 45 books that are written by reformers, residents, and other figures with a connection to Hull-House. I loved researching for this exhibit. I learned about John Dewey and pragmatism, the Pullman Strike, WILPF, suffrage, and much, much more. For each book, I composed a bookmark that points out interesting pages or passages, gives background information, and explains the book’s connection to Hull-House.Visitors will be able to pick these books off the shelves, (hopefully read the informative bookmark!) and flip through the pages to get an idea of the wide array of subjects connected to Hull-House and Addams. All of the formatting is done and now we just need to print them out and put them in their books. 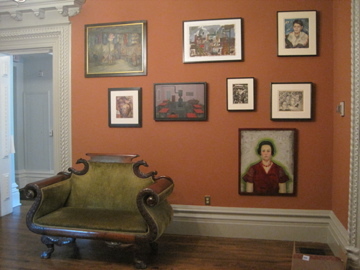 Many of the furnishings are in place, and the art work (all completed by artists connected to Hull-House) is up on the walls. Very exciting stuff! As today is my last day, I know I’ll be spending more time in this room figuring out finishing touches for the bookshelf. I hope I’ll have a chance to sit in the rocking chair and take in the space one more time. More importantly, I hope that in a few weeks visitors will stop by this room to reflect and discuss, examine and read. Jane Addams may have run a “hull” of a house, but with a generous grant from the National Endowment for the Humanities, today’s women --and men!-- of Hull-House are creating a dynamic new memorial to the social reformer and Nobel Peace Prize recipient. Check back to follow our process as we construct a new permanent exhibit at the Jane Addams Hull-House Museum.